Abidjan, 5th September, 2018. 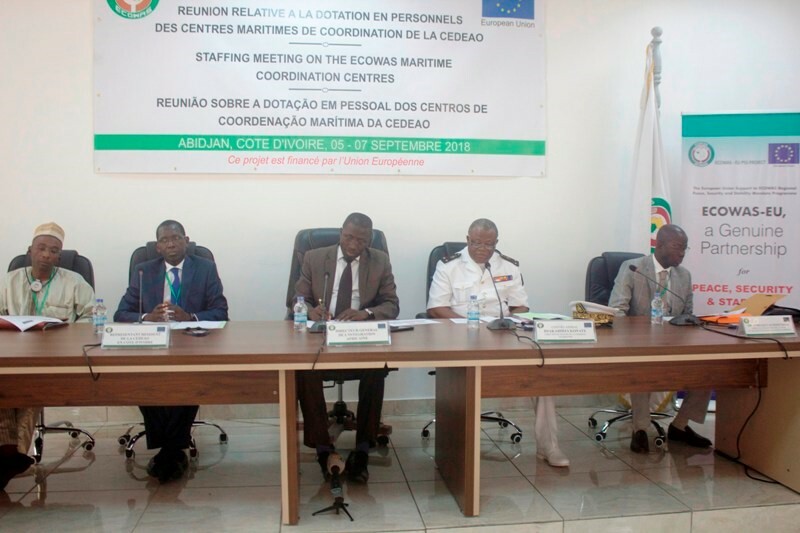 The Staffing Meeting of the Economic Community of West African States (ECOWAS) Maritime Zones commenced in Abidjan, Cote d’Ivoire on Wednesday, 5th September, 2018, to discuss the nomination of appropriate staff positions for the West African Regional Maritime Security Coordination Centre (CRESMAO) as well as the Zones E, F and G Maritime Multinational Coordination Centres (MMCCs). 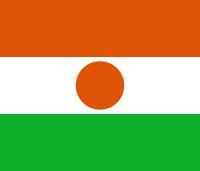 During the opening ceremony of the event; the Chief of Ivorian Naval Staff, Rear Admiral Djanakaridja Konate, expressed the Ministry of Defense’s delight at the prospects of staffing and operationalization of the Maritme Centres which are key mechanisms towards the fight against Maritime criminalities in the region. The ECOWAS Resident Representative in Cote d’Ivoire, Ambassador Babacar Mbaye speaking on behalf of the Commissioner, Political Affairs, Peace and Security, Gen. Francis Behanzin, reiterated the need for the meeting to effect the implementation of the provisions of the ECOWAS Integrated Maritime Strategy (EIMS) Architecture. Ambassador Mbaye also expressed the ECOWAS Commission’s gratitude to the German Development Agency (GIZ), European Union (EU) and the Danish government for their consistent support towards development projects as well as the implementation of the regional Maritme archictecture. 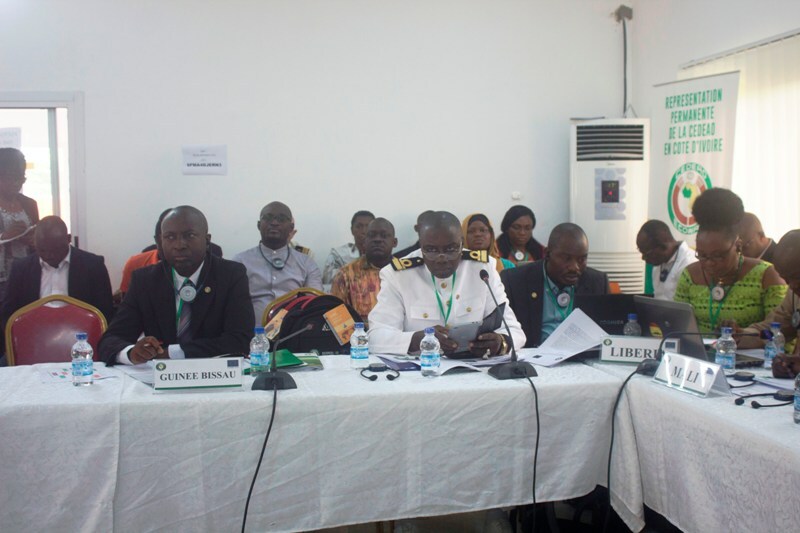 The representative of the Government of Cote d’Ivoire and Director General, African Integration Mr. Wautabouna Ouattara while declaring the meeting open highlighted the importance of the Maritme Zones which promotes collaboration and cooperation in order to achieve the security of the ECOWAS Maritme domain. Participants at the 3-day meeting including representatives from Member States Ministries of Foreign Affairs, Defense and Transport are already reviewing their various organograme in functional dynamics of CRESMAO and Maritime Centres.